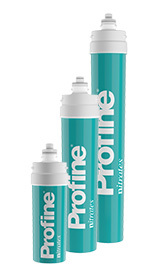 PROFINE® NITRATES reduces the concentration of nitrates. 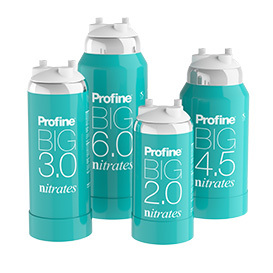 Nitrate selective resin and final filtration stage at 0.5 μm with Profine® Carbon Block technology added with silver ions for bacteriostatic action. 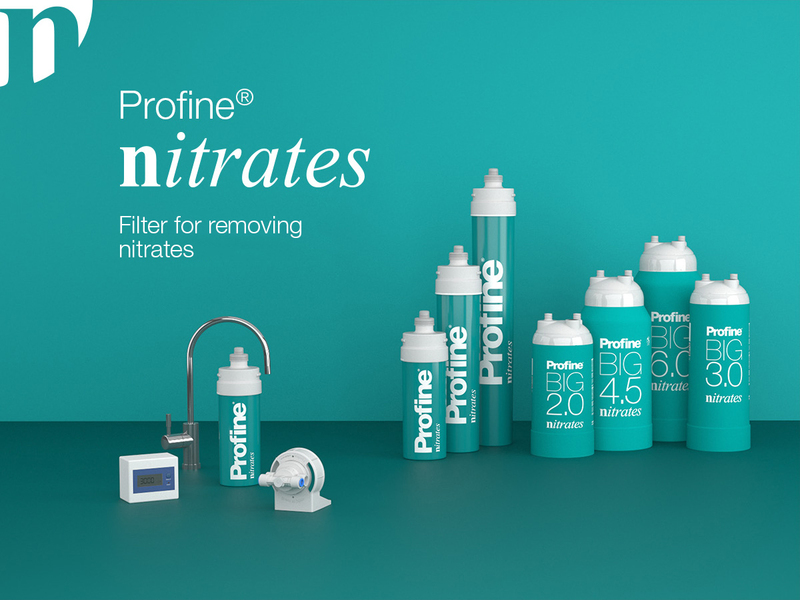 To be used with nitrate concentration up to 50 mg / l.
PROFINE® NITRATES is a filter for the treatment of drinking water with a high concentration of the nitrate parameter. 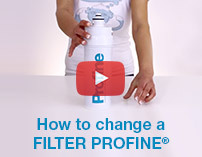 Last stage of filtration obtained with Profine® Carbon Block technology added with silver ions, with filtration degree of 0.5 μm. The cartridge must be installed in a vertical position. *Flow rates and calculated autonomies with concentrations of 60 mg / l of nitrates. The exchange capacities may vary depending on the nitrate concentrations of the incoming water and the flow rates. 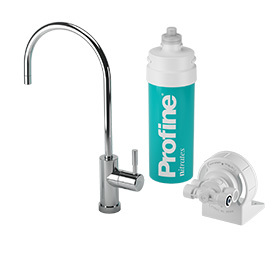 KIT PROFINE® NITRATES reduces nitrates that may be present in drinking water. The kit is equipped with everything needed for installation, faucet, flow meter and small parts included. you to have nitrate-free drinks. It also eliminates unpleasant smells and flavors and guarantees a bacteriostatic action. The cartridge must be installed vertically. Use only in-out 3/8” female connections.